Frutorious PRO TIPS for SUPER PLAYERS! Now Frutorious is out and people are having fun with it, we thought we’d give you some PRO-TIPS to help you become SUPER-PLAYERS! Don’t forget to use your after touch! 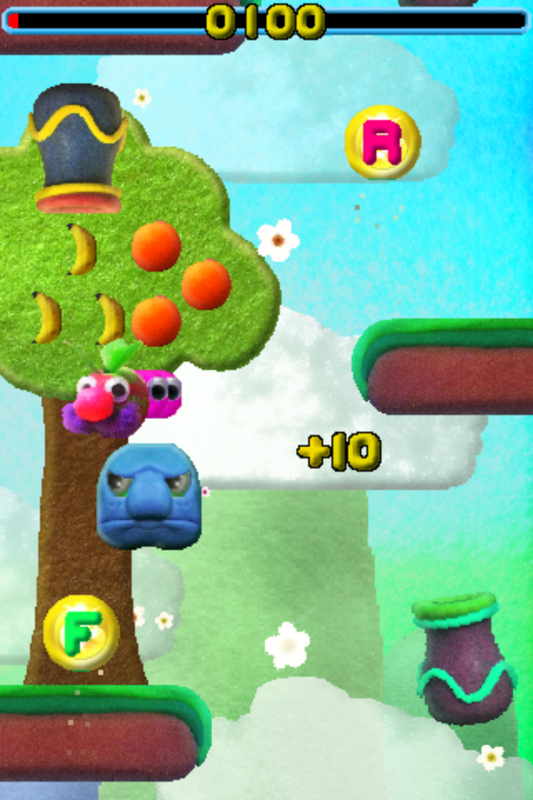 The swipey left and right thing that moves Mr Fruts in the air. It’s well tricky if you don’t try and use a bit of after touch. We guarantee it’s possible to complete any level without using power ups, but they’re something you should try. 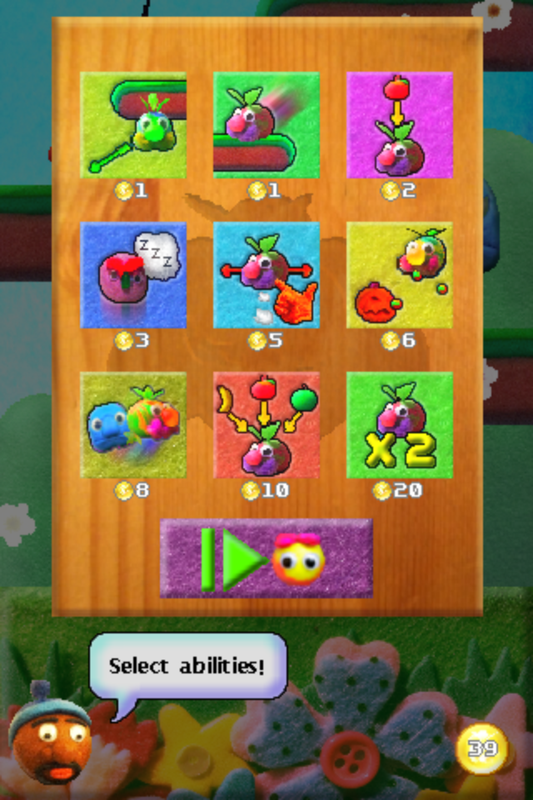 Tricky FRUT coins? Try the sticky Mr Fruts. Fiendish fruits? Get the large fruit attraction. Baddies and blocks galore? Lethal touch should help. Yeah it’s hard. Really hard. If it wasn’t so hard and brutal it wouldn’t be so terribly addictive! Take comfort in knowing that you soon get better and better. Playing the main game helps get the skills down, and also acts as a nice relaxing wind-down after a particularly frustrating game. The key to PRO-STATUS is to launch Mr Fruts again as soon as possible after he lands. You gotta go reeeeeeaaally fast. Don’t try and get all the fruit, that’d be madness! Use after-touch to compensate for hasty launches. Time will be tight at first but when you start hitting barrels you’ll start to rack up a nice (and necessary) time safety net. 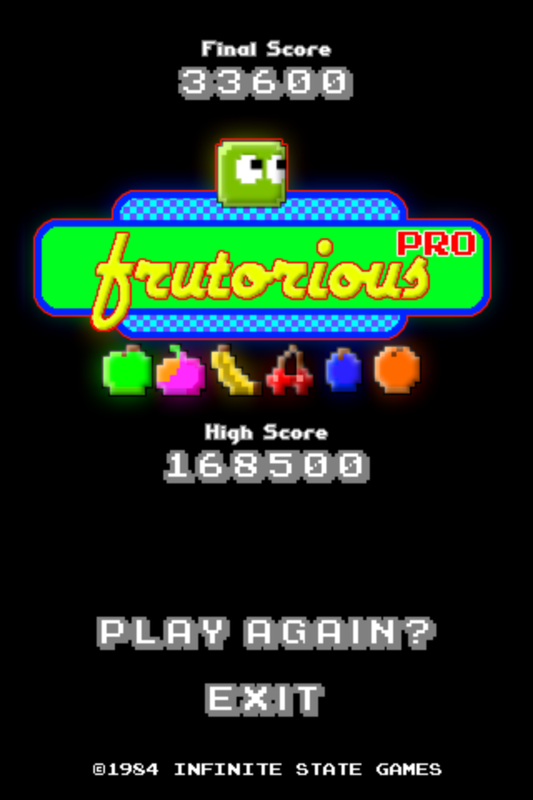 Previous postGet in the credits of Frutorious in our next update!